Oh My Glaze are a street food trader that specialises in chicken. All of their glazes are homemade and they only ever use locally sourced meats. The idea for Oh My Glaze was born in 2015 and it has been going from strength to strength ever since! They are now a well known and much-loved trader in the North West. 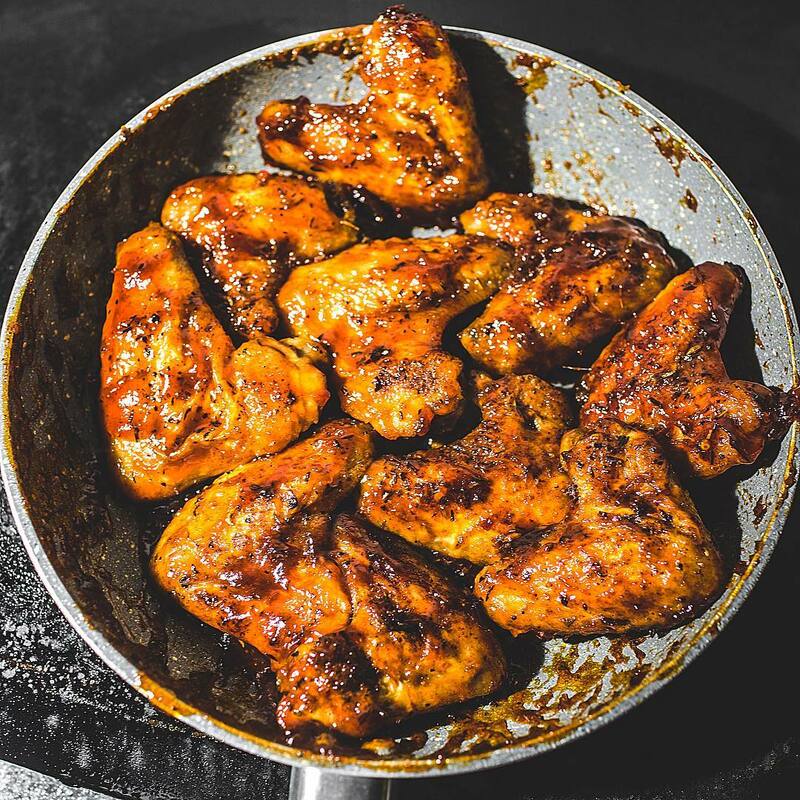 They pride themselves on their chicken wings, for those who like getting their hands dirty, as well as their famous chicken and halloumi wrap, that comes with a choice of three different glazes. They also cater for the non-meat eaters by serving a delicious veggie wrap, and they can even create fantastic vegan wraps too! Oh My Glaze are completely self-sufficient and require only 3m x 3m of space to serve from. If you’d like Oh My Glaze to come to your event and serve your guests some seriously delicious chicken, then see if they are available and book them for your next event here on Feast It! Their chicken wings are a real favourite and perfect for those who love to get their hands dirty!